It is common in many countries for tourists to be offered the chance to pose for a photo with an animal. It can happen at a zoo, on the beach, even on a busy street, in a market or nightclub. 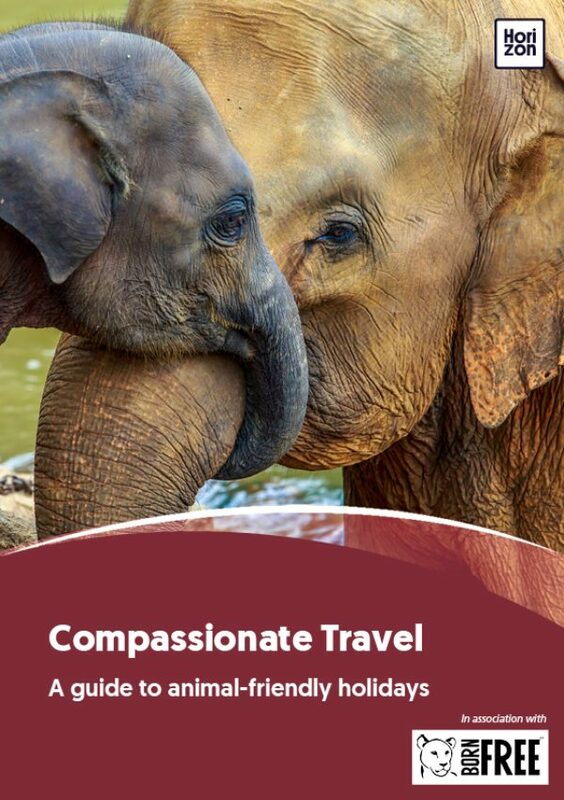 You may be given the opportunity to have your photo taken with a lion or tiger cub, a reptile, a small primate, an exotic bird, even an elephant. What a great souvenir! Or is it? Remember that things are not always what they seem and that holiday snap is likely to come with hidden costs. Behind that photo there could be an untold story of great suffering. The animal you are cosying up to may have been removed from its mother, endured painful and abusive training to force it to behave, live in dreadful conditions and face a short, miserable life. Direct human contact is unnatural for any wild animal. Forced and frequent contact can cause physical harm and mental distress to the animals involved, even if they appear outwardly to be fine. Training wild animals for human contact can involve unnaturally separating them from their mothers at an early age to make them dependant on humans for all their needs. Owners often regard their animals as simple property. By providing only the absolute basics, owners may ignore their animals’ physical, social and psychological needs, keeping them on a poor diet, in cramped and unnatural conditions and without the company of others of their own species. Wild animals can be unpredictable and dangerous. People in close contact with them run the risk of injury or the spread of disease. To render the animals less dangerous, they are often mistreated and abused to make them passive and to perform on demand. In addition, they may be sedated with powerful drugs to keep them apparently docile, and their teeth and claws are sometimes painfully removed. 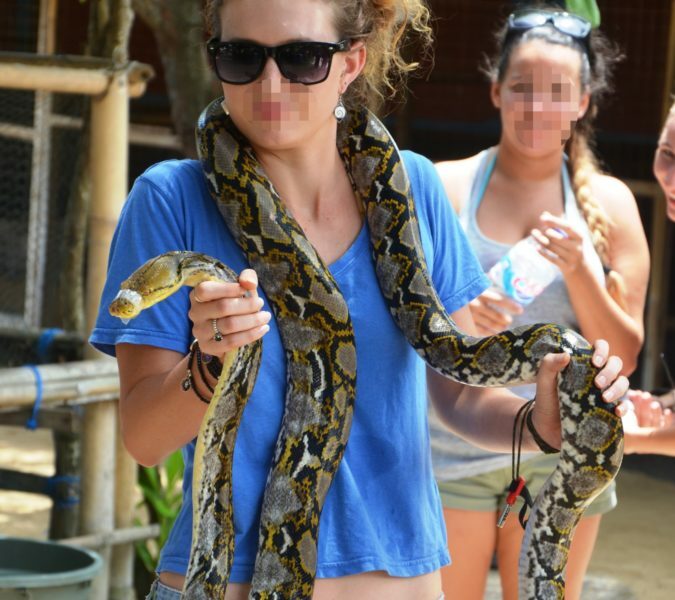 Offering souvenir photos with captive wild animals is commonplace in holiday destinations around the world. Tourists are often approached by touts in the street offering the opportunity to take photographs with their animals, for a small fee. They may speak good English and even offer reassurances about the origin of the animal, its care and welfare and living conditions. It may be tempting to be snapped with a tiger or with a very cute slow loris. But just because it’s readily available, it doesn’t mean it is legal, regulated or acceptable from an animal welfare perspective. Here are a few useful pointers to keep in mind before you pull out your camera (and your wallet). Close human contact and repeated handling is stressful for wild animals. They may struggle, become aggressive, or even attack their handler, so owners often reduce these risks with painful mutilations such as removing teeth, talons, claws or even tying jaws together. Larger animals may be sedated with powerful drugs. If a large, wild animal appears to be surprisingly docile, it could have been drugged. The animal may be in distress and pain; or hungry, hot or thirsty. Of course, you may not be able to read its feelings and it’s easy to assume that it seems to be fine, or is even “enjoying” the experience. The animals are usually sourced from captive facilities, breeding centres or simply taken from the wild. The activities they are forced to take part in are often unregulated or may be illegal. Removing endangered animals from the wild may contribute to the risk of extinction faced by the species, and it is almost certain that these animals can never be released safely back into their natural habitats. Owners may have limited knowledge of their animals’ basic needs and often raise them on poor and inadequate diets. Animals are frequently kept in inappropriate conditions with little space or opportunity to express their natural behaviour. They may be transported in small boxes, tethered or kept on perches for long periods, or subject to high temperatures with no drinking water, shelter or shade. The lack of appropriate social conditions (for example, the company of others of their own species), and measures to address the psychological welfare of the animals concerned, only serve to make matters much worse. All this, along with the stress of constant handling, can cause the animals to suffer physical and mental illness, or even die prematurely. Wild animals (whether wild-born or captive bred) are unpredictable and can become aggressive. There have been several cases of larger animals, such as elephants and tigers, causing serious injuries and even killing people during photo sessions. Wild animals can also pass on harmful pathogens such as salmonella or transmit dangerous diseases such as toxoplasmosis or rabies. Children, pregnant women, the elderly, and others with weak immune systems are at greater risk. What were once cute baby animals can become more difficult to handle as they mature into adults. Once they stop earning their owners money, they may be sold off to zoos, circuses, sold for meat or their body parts, or simply killed.